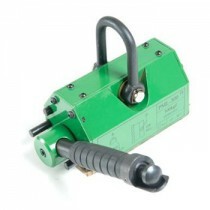 Keble’s Trading supplies a premium lineup of magnetic lifters from Pacific magnetic lifters to Titan TPML permanent magnetic lifter in a range of capacity from 100kg to 6ton. Our magnetic lifters has a high-performance permanent magnetic materials and patented circuit design which are widely used in machining, fabrication and tooling industries. They have a maximum breakaway force of 3.5 times rated lifting power (excluding 5t). 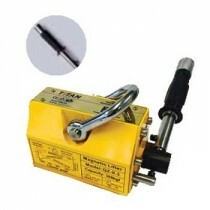 Our magnetic lifters have handle switches with safety twist for single-handed operation and more safety. Ideal to lift round steel or steel plate with “V” style design at the bottom of the lifter. They are all proof tested and complies with AS4991.2004 standard providing you that certainty of security on your applications. Turn to Keble’s Trading for reliable-grade MAGNETIC LIFTERS. Talk to us! We speak your language! We understand your business. Call us at 1-800-067-687 or fill out the contact us form below. No inquiry is too large or too small. We would love to be of service to you today!